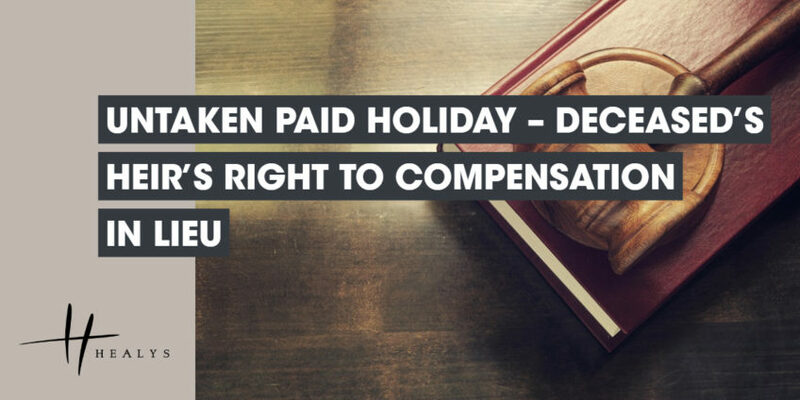 The Court of Justice of the European Union (CJEU) has ruled in two further cases on the treatment of workers’ untaken paid annual leave (Stadt Wuppertal v Maria Elisabeth Bauer and Volker Willmeroth v Martina Broßonn). The late husbands of the claimants had not used up all their paid annual leave entitlement before they died. The men’s employers refused to pay their widows an allowance in lieu of the untaken leave on the ground that German law precludes this forming part of the deceased’s estate. One of the men was employed by a public authority and the other worked for a private individual. On being asked for an opinion on the matter, the CJEU confirmed that under EU law a worker’s right to paid annual leave does not lapse on death and the heirs of the deceased worker are entitled to claim an allowance in lieu of any leave not taken. Furthermore, in cases where national law is incompatible with EU law, the heirs may rely directly on EU law, irrespective of whether payment of the allowance is sought from a public or private employer, because the right to paid annual leave is an essential principle of EU social law under the Working Time Directive and the Charter of Fundamental Rights. Where national legislation, such as German law in this instance, cannot be interpreted in a manner consistent with EU law, the national court must disregard the domestic legislation and ensure that a deceased worker’s heir is granted compensation, payable by the employer, in lieu of any paid annual leave entitlement not taken by the worker before their death.